Today, more often than not, an MMA event seems to lead to a debate about the competency of the responsible athletic commission. Controversy after controversy has made MMA fans and fighters alike rethink what the role of the government should be in an MMA bout. Often this involves criticism over the appointed referees or judges, weight cutting procedures, rule changes, and just about everything else under the sun. A constant stream of (usually justified) criticism has created a sentiment that the commissions should be scrapped or mitigated, and promotions should regulate their own bouts inside the US. While the idea of removing commissions may seem appealing to some, nothing would hurt mixed martial arts more than the irresponsible decision to remove an overseeing body. Instead of advocating for outright elimination, we should recognize and respect the central role commissions play in keeping fighters safe while pushing for constant improvement in their ways. When a promotion such as the UFC or Bellator holds an event, the commission plays a vital role that cannot be overlooked. Commissions partake in what can be called “maintenance” work between events, taking actions like changing rules to improve fighter safety or handing down sentences to individuals who have failed drug tests or violated regulations. Their principal responsibility is to play an active role in overseeing bouts to make sure every contest is both safe and fair. The responsibilities of a commission are relatively routine. First and foremost, they are in charge of stipulating the rules of the sport, which every promotion must follow. Starting in January 2017, some state commissions have adopted the “new” rules laid out by the Association of Boxing Commissions known as “The Unified Rules of Mixed Martial Arts,” while others have not. You can read “The Unified Rules of Mixed Martial Arts” here. The ABC is a non-profit organization that tracks record keeping and tries to improve the sports of MMA and boxing by improving the rules and procedures that commissions should follow. Deciding which rule set will be followed inside its jurisdiction is the prerogative of each state’s commission, which is why there are different rules for UFC events in different states. The fluctuation of what is and isn’t allowed in various contests is a direct result of each state having a separate commission, a massive design flaw that produces spectacularly horrible confusion and outcomes. Along with controlling the rules, the commission is responsible for assigning the referees and judges for each bout. It is a common misconception that referees and judges work for the promotions, when in fact they work for the commission. This is why you will see referees working in the UFC one day and Bellator the next. The separation of control regarding referees and judges is of massive importance to fighter safety and fight fairness, and it is imperative that this design remains untouched. While there are certainly flaws with how commissions operate, it is crucial for an independent entity to choose the referees and judges and not the promotions themselves. The necessity of having an independent commission becomes clear when we view the goals of every other actor. When an MMA event takes place, it is the responsibility of the governing commission to act in the best interest of the fighter’s safety, not in the interest of the athlete or the promotion. The promotion is seeking to create the best show and make the most profits, a goal that usually has an inverse relationship with fighter safety. Fighters will seek to do what they perceive as best for their career, often putting themselves in an incredibly perilous situation along the way. As the only entity that is not concerned with profit or fight outcome, the commission’s role of filling the gap of fighter safety left by the other actors should remain its principal objective. 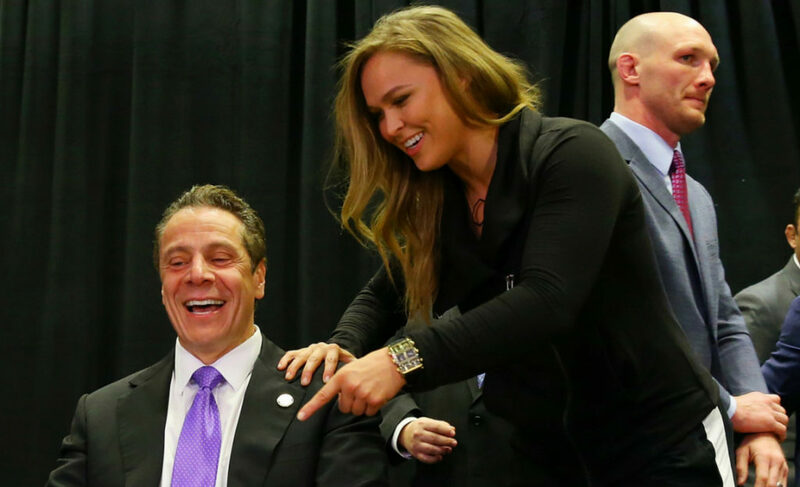 It won’t take long for a new fan of mixed martial arts to see why so many have an unfavorable view of the current athletic commission structure. They are rife with systemic problems that have tangible consequences for organizations, and more importantly, the fighters. Whether it is the disparity of the agreed upon rule set, the handing down of spectacularly absurd punishments, or just a general lack of knowledge about the sports they oversee, it is almost a unanimous consensus that there need to be serious improvements with how the commissions operate. In particular, the New York State Commission has been at the center of controversy since they first appeared on the scene in November 2016. Since then, the NYSAC nearly removed Pearl Gonzalez from a fight because she has breast implants, Daniel Cormier sneakily grabbed a towel to immediately ‘lose’ 1.2 pounds in two minutes, and then there was the whole UFC 223 kerfuffle. The most inherent problem with these athletic commissions is that they are mostly composed of appointed bureaucrats who lack the necessary extensive knowledge about the sport they oversee. By no means is this an accurate description of every individual appointed to an athletic commission, but it is a far too common occurrence. In the grand scheme of a state government, the quality of the commission that regulates boxing and MMA is far from a top concern for government officials and constituents. In the eyes of the bureaucracy, these appointments are ripe for political allies and friends who need cushy positions. The effects of this seep into every function of commissions, whether it’s something as grand as altering the rule set or as trivial as pre-bout responsibilities. The appointed referees and doctors are usually well qualified, but it is hard for them to correct the mistakes made by the higher up decision makers. Take for instance the prohibition on what is known as “12-6 elbows.” The only elbow strike that is illegal is one that goes “straight up and then straight down.” Any variation from a linear vertical line makes the strike legal, which is puzzling given there would be no diminishing force by altering the arc of the attack by one degree. There is no apparent reason why this strike is prohibited, and the reasoning varies depending on whom you ask. UFC commentator Joe Rogan claims it is because when boxing commissions first started to regulate MMA, they all watched videos of karate practitioners breaking objects with an “up and down” elbow strike. Thinking it was the most powerful strike available, they prohibited it believing it was potentially lethal. Nick Lembo, a member of the New Jersey State Athletic Board, who had a role in writing the rule, claims differently. He says doctors told them that it would be dangerous for a fighter on their back to be elbowed in the orbital area and the rule was created to prevent this. But in this scenario, all the attacker has to do is change the arc of the elbow by one degree and the strike will be perfectly legal. Regardless of which explanation is correct, the fact that the strike is still banned to this day with no real justification speaks to the lack of expertise from the officials that oversee the entire sport. When those who are control of an entity are not well well-informed on its intricacies and functions, there is an almost inevitable likelihood of undesired, but avoidable consequences. The lack of aptitude that is prominent throughout athletic commissions has resulted in some absurd rulings being handed down to fighters who violate the rules, even for relatively minor infractions. While it is essential to make sure the rules are followed, in no way does it help the sport to give gargantuan punishments to fighters for an inconsequential violation. These are two of the more outlandish examples of athletic commissions handing down unjust sentences, but they are not the only ones. It’s hard to believe that anyone who is actively involved in mixed martial arts would support these punishments as being reasonable. They are solely the result of ostensibly knowledgeable officials being given control over a sport with which they actually have insufficient experience in dealing with. While the lack of expertise in those who ultimately hold power over the sport is routinely frustrating, it pales in comparison to the effect that the fractured rule set has on fighter safety. When the newly designed “Unified Rules of MMA” went into effect at the beginning of 2017, it was widely assumed that they would be unified. It turns out they are anything but. Heeding the advice of more knowledgeable professionals with decades of expertise in the sport, many states have decided to adopt the ABC’s new rules, yet some have refused. This has resulted in MMA becoming a sport where the rules fluctuate based on the geographical location of the bout, which is beyond absurd. The new ruleset is a much-needed improvement written by experts who have worked in the sport for decades, so the decision by some not to implement them is stupefying. Along with other changes, the new rules reduce the inclination for eye pokes by prohibiting outstretched fingers towards a fighter’s eyes, allow heel kicks to the kidneys, and clarified the judging criteria. 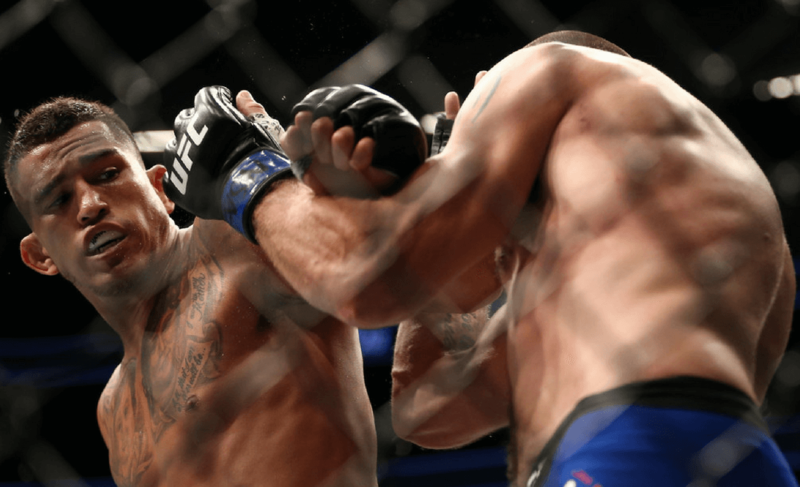 The language of how a fight should be judged was revised, giving “striking” and “grappling” more importance over “aggression” and “octagon control,” while also specifying the criteria for what constitutes a 10-8 round. These changes have had immediate positive results. In particular, 10-8 scoring consistency improved to an all-time high in 2017. However, even then, there’s still cause for concern when it comes to judging in different countries. Take the UFC’s first venture into Perth, Western Australia, in February, for example. It is common practice for an athletic commission to release the post-fight scorecard that shows how each judge scored each round. However, the Western Australia Combat Sports Commission does not release the names of judges or any information regarding how they score each round. Accountability is significant when it comes to scoring an athletic contest, and there was no transparency during that night of fights. Where this disarray among rule sets does lead to the endangerment of fighters is the discrepancy on what constitutes a grounded opponent. Under the old rule set, if any part of a fighter other than the soles of their feet touches the ground, they are considered “grounded” and cannot be kicked or kneed in the head. 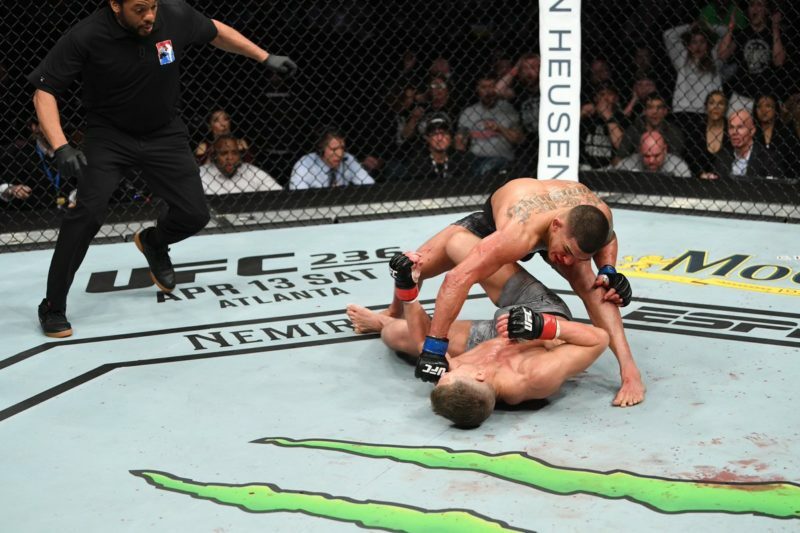 Under the new rules, a fighter must have both hands on the mat, or any other body part except the soles of their feet to be considered “grounded.” The rule change was implemented to prevent fighters from placing a single hand or finger on the ground to avoid leg strikes to the head, a tactic that was an exploitation of a loophole in the rules. The change was a much-needed adjustment that facilitates an increasingly accurate representation of unarmed combat without sacrificing fighter safety and has been applauded as such. The danger to fighters comes in the confusion between the rule sets, not the actual rule itself. Whether or not a fighter can kick their opponent in the head depends on the geographical location of the bout, which is not something that we can expect a fighter to discern in the split second they have available to launch a strike. This leads to confusion and dangerous consequences. Unfortunately, either Miragliotta or Stephens was confused, and Emmett received a defeat and a concussion because of it. He has since talked about the medical problems he has had as a result of the knockout, and they are quite terrifying. Had Emmett’s knee not been on the mat, the strike would have been legal because there was only one hand down. However, because Emmett’s knee was down, Stephens is prohibited from throwing a knee to the head under both the new and old rule set. The number of hands Emmett had down is regardless because his knee was down, making him “grounded.” Unfortunately, Stephens did not understand this. This fiasco unquestionably due to the confusion that is a direct result of the varying rule sets. We cannot realistically expect a fighter who is in the midst of a five-round war, tired, dehydrated, and having been hit in the head dozens of times, to stop in their tracks and think about what state they are in before throwing a strike at an opponent who is aiming to knock them unconscious. The current configuration is so confusing that back UFC 220 in Boston, two different rule sets were used for the same event. The UFC’s officials, as well as the commission representatives, were in disarray about which set of rules were in effect, so some fighters competed thinking they were under the new regulations, while others were following the old ones. It’s a miracle the event went off without a debacle such as the one involving Stephens and Emmett. The current order is in far too much confusion and disarray, and because multiple state commissions that have decided to not to listen to the advice of actual experts on the sport, fighters like Josh Emmett are going to continue to pay with their record, income, and health. Whenever the glaring problems that plague the current state of the athletic commissions come to the forefront, there is always an onslaught of criticism towards the commissioners as well as the commission structure in its entirety. While there is no doubt that there are problems with the way commissions operate, we should not be looking to tear down the best regulating entity we have. Criticisms like the ones mentioned above will be exacerbated by attempts to weaken the regulating power commissions hold or eliminate them entirely. You don’t tear down the old Yankee Stadium until you’ve built the new one, and we shouldn’t scrap the sole regulating bodies if we don’t have a better option available. Athletic commissions are both well-intentioned and necessary; they provide substantial benefits to the sport by acting in the best interest of the health and safety of every athlete. We should be aiming to develop and improve the commissions before we decide that they need to be scrapped altogether. The commission’s role in the course of an MMA bout is of the utmost importance as its primary concern is fighter safety. All other objectives are secondary. It achieves this goal through its two main representatives, the referee and the ringside doctor. In the larger context of a bout, every actor has a specific interest that they are looking to obtain. The promotion is concerned with capturing the most viewers and making the maximum obtainable profit, a goal that does not usually correlate with fighter safety. Theoretically, we would expect a fighter and their cornermen to act in the best interest of a fighter’s safety, but that is not always the case. Most recently at UFC 224, Raquel Pennington told her corner “I’m done,” a clear indication that she had no interest in going back out for the fifth round with UFC Amanda Nunes. Instead of calling off the fight and protecting their fighter, the corner insisted “no, no, no, no, let’s change our mindset” and sent Pennington back out there for the final round. Pennington was subsequently stopped in a particularly violent way by the champion. We expect that if there were anybody who would act in the best interest of a fighter’s safety, it would be their corner, but unfortunately, that is not true. Many MMA fighters have told us they will happily “fight to the death,” and while that is mostly hyperbolic talk, there are some who will risk their lives for the chance of victory. Cornermen and women have been with the fighter throughout their entire camp, watching them give everything they have to their training and performance. It is understandable why consciously or subconsciously they may be hesitant to end a fight if they think there is even a slight chance of success. Despite the controversy, Raquel Pennington’s coach, Jason Kutz, stood firm and believed he made the correct decision to send the challenger back out there in the fifth round. Promotions make more money the more exciting their fights are, so if they can find two fighters who are willing to go to war and receive irreversible damage, they will happily stand back and let them while they collect pay-per-view dollars. Mixed martial arts is dangerous and violent, and fighters getting severely injured is inherent to the sport, but referees and doctors should be looking to minimize the chances of severe or life-threatening injury. For all the criticism athletic commissions receive for the numerous stupid rulings and the current state of the ruleset, their role in the sport is imperative. As a society, we should not accept men and women permanently maiming each other in a sporting context, even if they consent and a private organization is willing to promote it. Athletic commissions are the best option we have to keep fighters as safe as possible, and ultimately protect our beloved pastime. However, some significant changes are going to be needed to better achieve this objective without interfering with competitive fairness. At the risk of this devolving into a political debate, a lot of the problems we currently see with athletic commissions could be solved by moving the jurisdiction from the states to the federal government. Instead of a different governing body for every state or tribal region, the US Federal government should be granted the responsibility, leaving the US regulated by one national athletic commission. This would achieve a few different objectives. First, it would eliminate the problem of varying rulesets between states, which is of the utmost urgency. MMA is now legal in all 50 states, so there is no looming state’s rights debate. With only one commission, it would be much easier to appoint officials who have actual knowledge about the sport, avoiding the problem of amateurism that appears to plague the majority of the state’s commissions. By having seven to ten officials who have worked in the sport for a long time in charge of regulating it, not only would some of the current problems be solved relatively effortlessly, but the commission would be able to rectify new ones as they become apparent. As for making sure the right people are chosen for the job, this hypothetical “National Athletic Commission” could have one or three appointed directors, who would be in charge of filling out the rest of the appointments. A situation such as this would preserve the critical primary function of promoting fighter safety and fight fairness that athletic commissions are responsible for while mitigating the unintended and counterproductive side effects. When there are obvious flaws with any entity, we tend to only focus on the problems while ignoring the benefits of the entity as a whole. 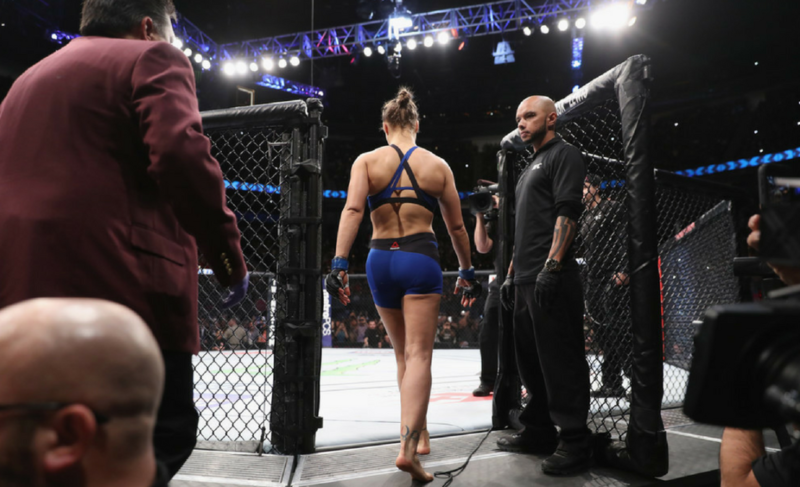 It is understandable why many in the MMA ecosystem view commissions as a cumbersome aspect that should be eliminated, but that would be a grave over-correction that would leave many athletes vulnerable to unneeded injury and exploitation. Commissions are the sole actors in the scope of a bout whose only interest is the safety of the competitors. MMA is one of the most dangerous sports on the planet, which is what makes it so enjoyable and captivating for fighters and fans alike. While there are times where we are all fed up with them, the commissions are what protect fighters from serious harm, allowing them, and in turn us fans, to enjoy the spectacle of mixed martial arts.